Donna Nook Seal Colony is in Lincolnshire on the coast of the North Sea. Every year between November and December the grey seals come up on to the sand dunes at to have their pups. The birthing starts at Donna Nook at the beginning of November and is at its peak towards the end of November beginning of December. It’s a unique wildlife experience, I’ve seen seals in the UK before on the Pembrokeshire Coast. But I have never seen so many as close at Donna Nook. Some seals are literally lying next to the fence next to the path. The numbers have increased each year and now there are over 3,000 seals. I spent nearly an hour walking up and down, watching and listening to the bizarre seal behaviours. If I’d worn warmer clothes I would have stayed a lot longer. That sea breeze is flipping cold! 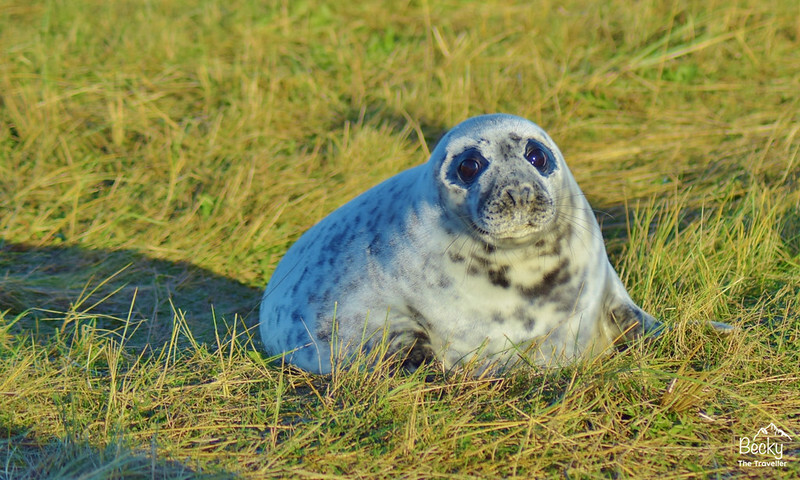 Here are my best tips to enjoy your Donna Nook experience and capture those cute seal photos too! 1.1 Where is Donna Nook Seal Colony? 1.2 When is the Best Time to Visit Donna Nook? 1.3 How Many Seals Are at Donna Nook at Once? 2 Where to Park at Donna Nook? 2.2 How Much Does it Cost to See the seals? 2.3 What to Wear When Visiting the Seals at Donna Nook? 3.1 Is Donna Nook Dog-Friendly? 3.2 How Close Can You Get to the seals? 3.3 Can You Touch the seals? 5 Where to Stay at Donna Nook? 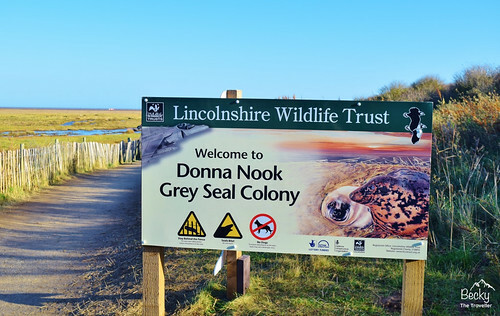 Where is Donna Nook Seal Colony? The seal colony is about 10 miles from Mablethorpe in Lincolnshire on the east coast of the UK. *Please note this isn’t the exact postcode for Donna Nook but it gets you within a few 100 metres. Then there are signs so you can easily find the way. When is the Best Time to Visit Donna Nook? The seal pups start being born from the end of the October. And the number increases week by week. Most seal pups are born in the last weeks of November and beginning of December (based on last year’s figures). I read before my visit about how busy it gets at the weekend. So for a more enjoyable experience go on a weekday, if possible. Or alternatively try and visit before the peak birthday times, there are so many seals that you will still get to see plenty. The first seal was born on 22 October 2018. 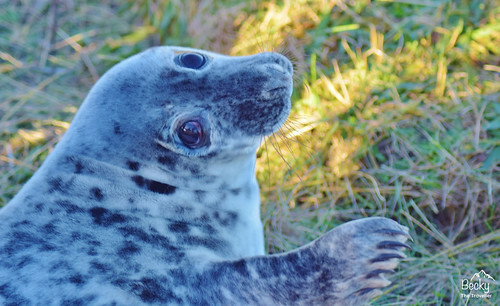 You can check the weekly update here for now many seals are at Donna Nook. 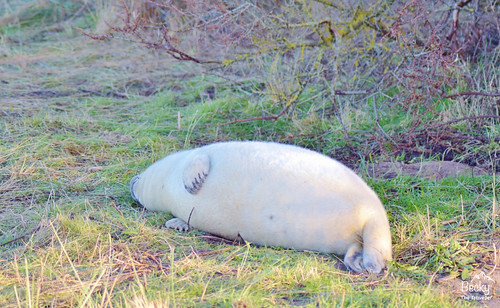 How Many Seals Are at Donna Nook at Once? And at their peak, there are over 1,500 pups. Yes seriously, that a lot of seals. Where to Park at Donna Nook? There are two options for parking. The main car park at Donna Nook, which is free. I arrived at noon, one of the busiest times. There are not loads of car parking spaces, however, people are arriving and leaving all the time so be patient and you should find a space. Option 2 is an overflow car park that costs £2. This is where the only toilets are (portaloos). Due to how popular Donna Nook was last year for the 2018/2019 season there will be new car parking charges. Parking from £5 per day. Read here about why they are bringing in new charges and what the money will go towards. It’s great watching the seals rolling in the mud too! As soon as you walk into the Nature Reserve you start seeing the seals straight away. They are scattered in small groups, to begin with, and then the numbers increase. Some of them are busy sleeping, well a lot of them. But a few of them are busy feeding their young pups or aggressively warning off other seals if they get too close. There is a path that stretches along the entire area of the beach, separated by a fence. To protect you and the seals. The path is wide and is wheelchair friendly so gives the option for everyone to visit. How Much Does it Cost to See the seals? However, there’s a small cabin selling a few seal related gifts and there are also places that you can donate money. Take some small change to donate to support the conservation of the seals and this beautiful area. What to Wear When Visiting the Seals at Donna Nook? The grey seals have blubber to keep them warm! After mentioning the cold sea winds you might already be planning on wearing some warm clothes. I completely underestimated how cold it would be especially as you’re walking slowing and stopping to take photos. Here’s what I wish I’d worn! Wellington boots were a favourite or hiking trainers or boots. If it’s raining then I would suggest waterproofs. It’s a busy place and an umbrella could be a bit of hazard plus chance are that it will blow inside out! No dogs allowed. There’s a separate area if you want to walk your dog away from the seals. My advice would be to leave them at home. How Close Can You Get to the seals? The seals are not here to perform for you. They are wild animals, yes I do agree they are very cute too! But if they are sleeping, let them rest. It’s really important that they conserve their energy. Can You Touch the seals? And here’s the most important one. Don’t touch or stroke the seals. You will see the reason when they open their mouths. These guys have very sharp teeth, even the pups. So keep your hands away from them. They don’t like being poked. And I’m sure you don’t want a visit to the hospital. Touching a seal pup could also result in the mother abandoning it and if the seal can’t feed it will get weak. Luckily the Donna Nook Wardens are on hand to look out for seals that are struggling. But it’s so important not to touch them in the first place. Visit during the week. Weekends are busy at Donna Nook. If you have the option I would recommend a weekday. Wrap up warm, it’s cold down there – yes I know I already mentioned this! Snacks or lunch – depending what time you go I would also take a few snacks. These a burger van selling hot drinks and food but that’s the only option. Get your hand stamped to visit Mablethorpe Seal Sanctuary and Wildlife Centre. Stop off at toilets before you arrive (limited facilities on site). Where to Stay at Donna Nook? 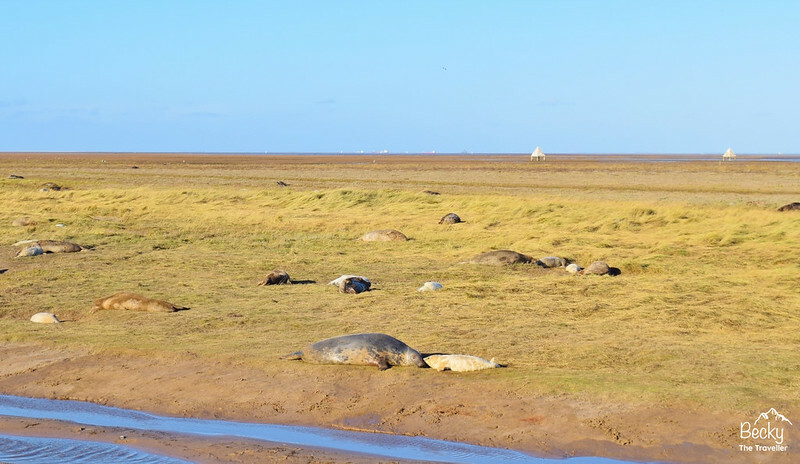 Planning on staying a few days in the area whilst you’re visiting Donna Nook? 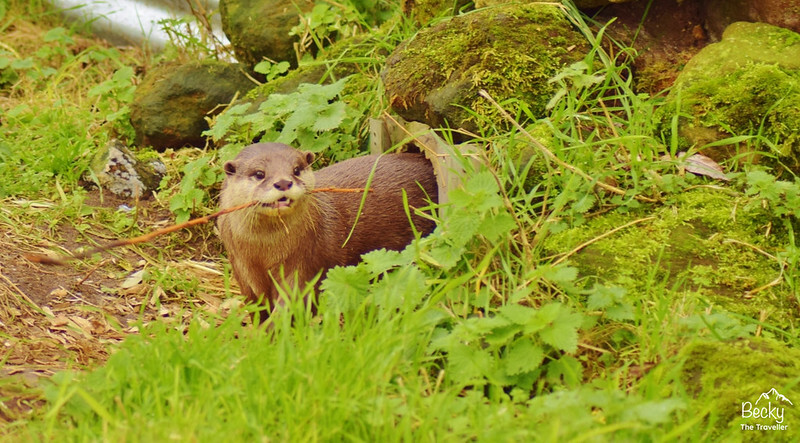 You can also visit Mablethorpe Seal Sanctuary and Wildlife Centre. 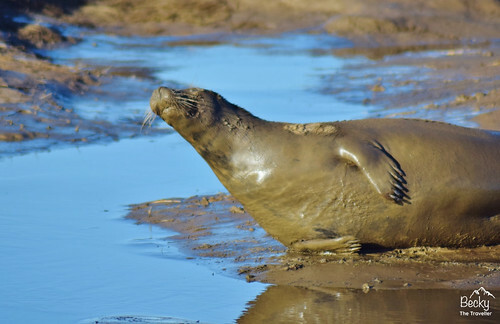 Are you travelling a long way to Donna Nook Seal Nature Reserve? Why not visit for a few days and enjoy seeing the seals at different times of day? 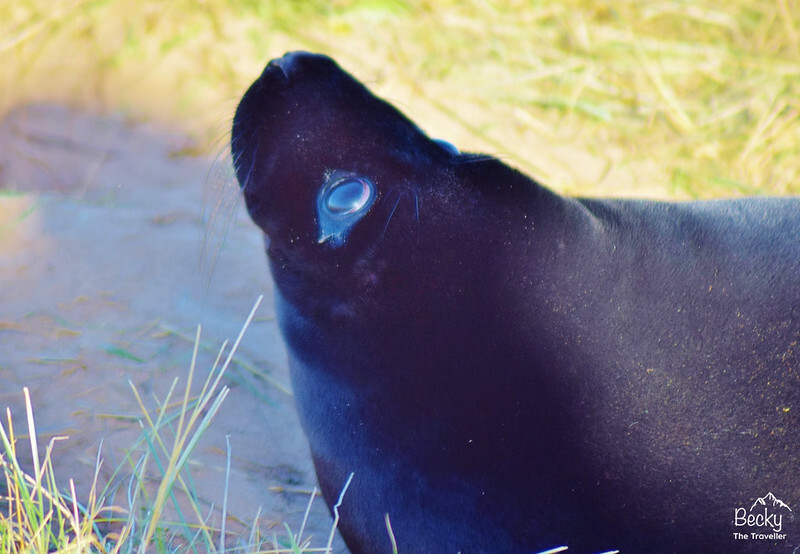 Have you visited Donna Nook Seal Colony? Tell me about your experience or any tips in the comments below or message me on Facebook. Ohh my gosh I am MELTING. Cutest featured image ever goes to you <3 I'll be in the UK for Christmas so I'll be missing the pups by a few weeks, but AHH I want to go so badly now. I even asked my boyfriend if it's anywhere near where he's from. The answer is no… but I'll find my way to the seals eventually haha. Thanks for the inspo!!! What a neat experience! I have been meaning to see the seals in Norfolk. Will have to let you know how that compares. Lovely photos!! And nice to know they have an information cabin where you can learn more about the seals and get to know the the latest seal count each week. I really want to go and that flask looks great too. Lovely blog. There’s also an on demand bus 51E that has to be booked in advance.